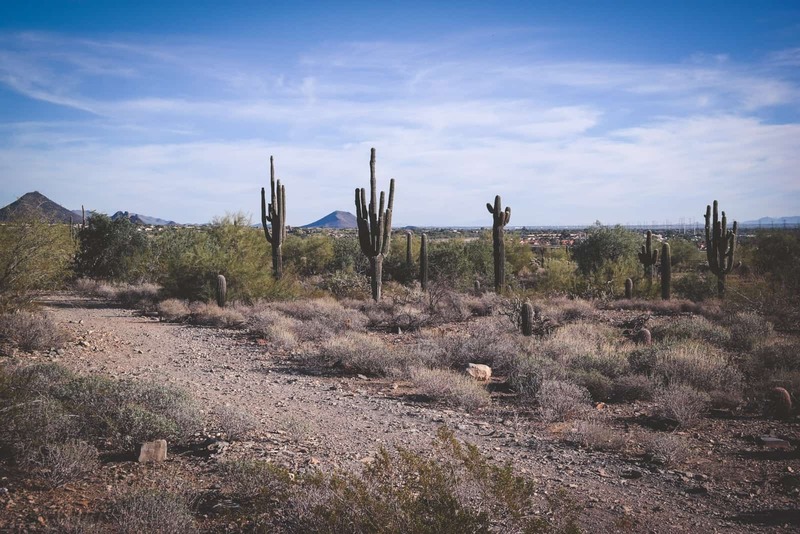 Beautiful scenery, outstandingly delicious food, palm tree lined drives, and gorgeous resorts – that is how I would begin to describe my trip to the Phoenix and Scottsdale areas of Arizona. 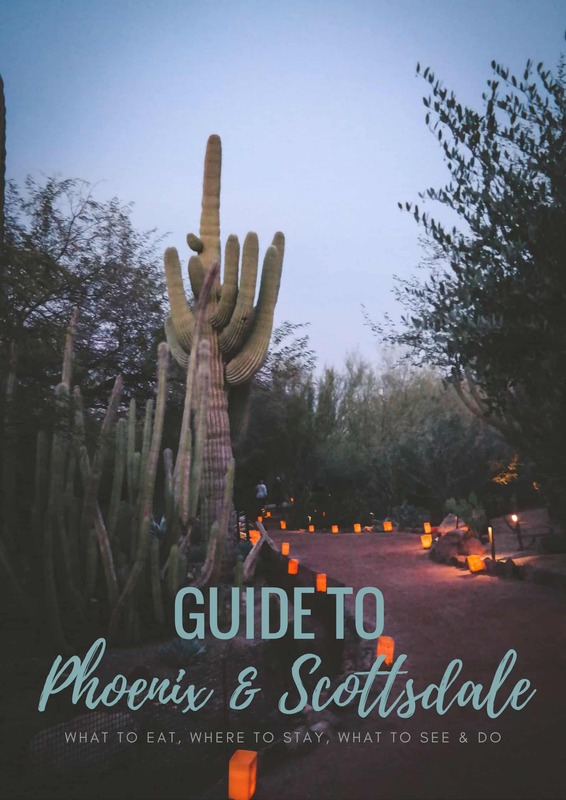 Over the holidays, my husband and I took a trip that was amazing, so today I’m going to share with you my guide to Phoenix and Scottsdale, AZ: what to eat, where to stay, what to see and do. The Phoenix and Scottsdale areas are very expansive, I loved the scenery everywhere and driving between the different cities and areas. Cacti, palm tree and rocks lined the sidewalks and streets, mountains in the distance, it’s just so pretty (and far better than looking at piles of snow)! While my husband had been to Phoenix for spring training, I had never been to the American Southwest. There was a great sale on flights, and we decided this trip was going to be our Christmas present to each other. Also, since I’m expecting we thought it would be a great time to travel, before I couldn’t anymore, so this trip was also our “babymoon”. 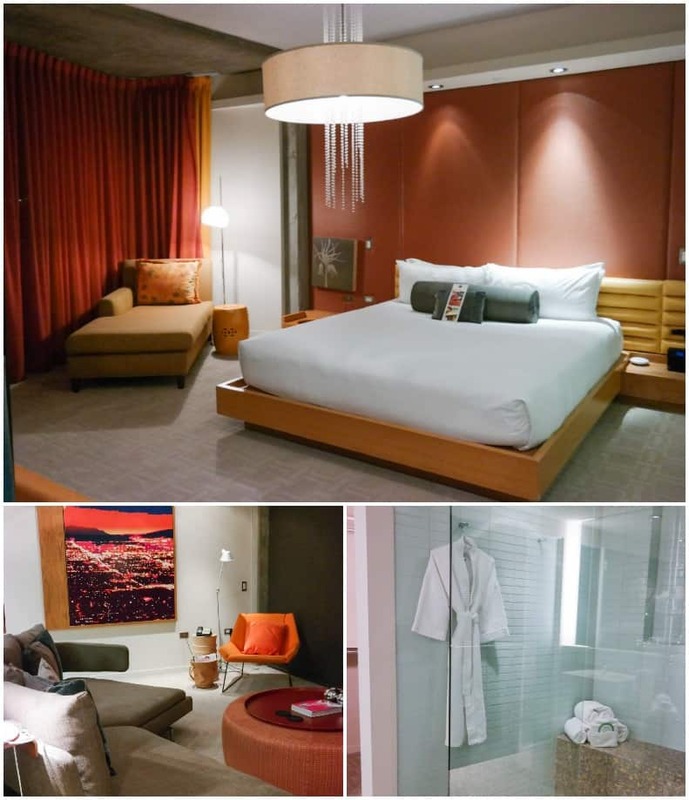 I know first hand how hard it is to make a decision when it comes to choosing a hotel and where to stay when you’re visiting a new city, so I’m going to talk about two hotels, both of which were great. I like hotels that offer some food options and a spa. If I’m on vacation, I want to relax and not have to be traveling every two seconds, but I also want to be close to attractions. 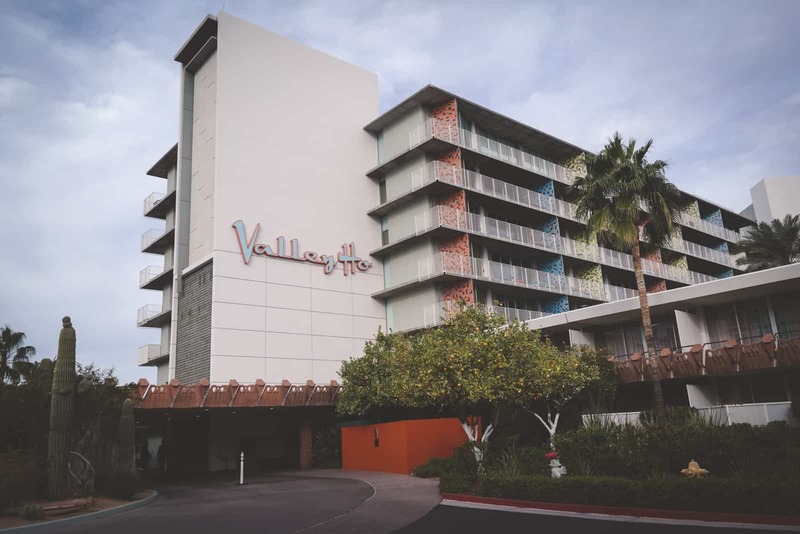 The first hotel we stayed at was the Hotel Valley Ho. This hotel was probably one of the coolest properties I’ve ever stayed at. Stepping into the hotel was like stepping into a different era. It felt like we were stepping into a scene from the show Mad Men. 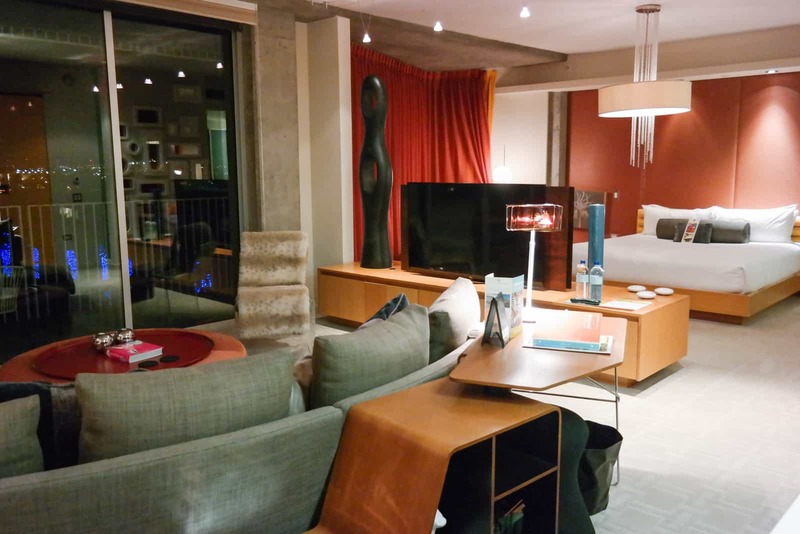 The hotel went through a major renovation/restoration in 2005 that kept the signature architectural mid-century modern design in tact. Upon checking in, we walked into our suite and kept turning to each other and saying “how cool is this?” The room was HUGE and decorated so beautifully. I literally could have moved in and never returned home lol. The room was just ginormous, every little attention to detail was so spot on, and beautiful!! For our first dinner, we went to the restaurant in the hotel lobby called ZuZu. Since it is their 60th anniversary, they had a special menu we ordered from. It was SO delicious <- you have to understand that at this point the only thing I had been eating was bagels and plain bread, so for me to say it was delicious, really means it was delicious! The meal started out with a warm bread basket of rolls, they were kind of like Hawaiian rolls, but 100 times better. Then we got an appetizer. From the description, we thought it was going to be a big hunk of cheese where you dipped bread into. When the appetizer came, it was so unexpected (in a good way) – it was individual crostinis with jam and warm brie. SO good, I have it on my list to re-create, because we could not stop talking about it. Then dinner came, and it too was delicious. I was so full of bread and appetizer at this point, that I had two bites of dinner, and (forgive me hubby for sharing this) my husband ate the rest (he kept saying how good it all was, and in his defense, because of the time difference and traveling, we hadn’t eaten since breakfast!) Lastly we got dessert, but literally could not finish it lol (I did have a few small bites and can tell you it was phenomenal). The next morning, we were awoken by the gorgeous sunrise! 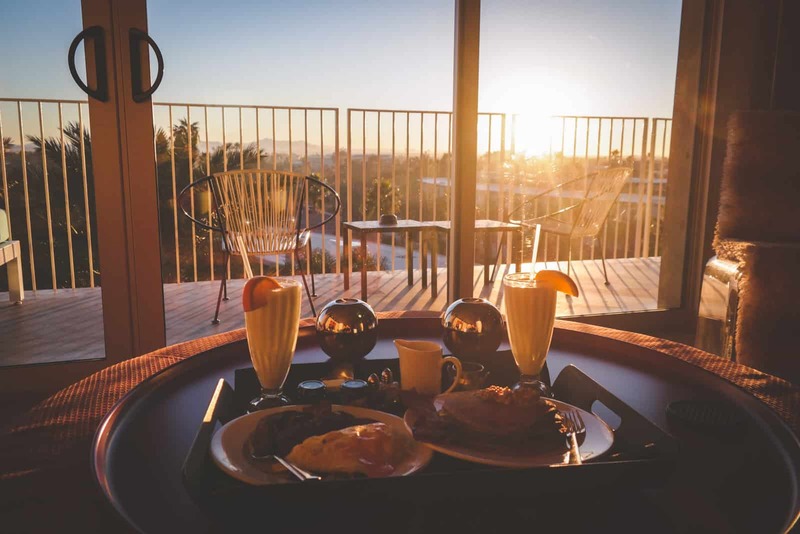 It was too beautiful to miss, so we opted for room service for breakfast. Gah! You guys! It was incredible. We got these drinks called ‘Frosty Orange Ho-J’s’ which was the Hotel Valley Ho’s signature breakfast drink – it tasted like a smoothie/dreamsicle/heaven. We ate breakfast and looked at the beautiful scenery. Next on the agenda was spa treatments at the VH Spa for Vitality + Health. I had gotten my husband a fancy sounding spa treatment as a surprise for Christmas as part of our trip. I hadn’t really read the description, but thought it was just a massage. Turns out, it was really an exfoliating treatment and a massage. His description after the fact of how he had no idea he was going to be exfoliated with coffee grounds will make me laugh forever. 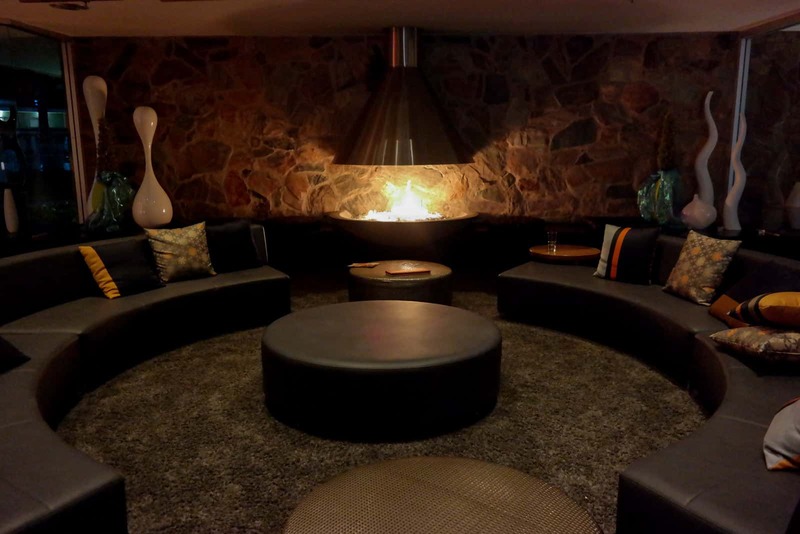 If you’re looking for a beautiful hotel that is an experience, this is your spot! 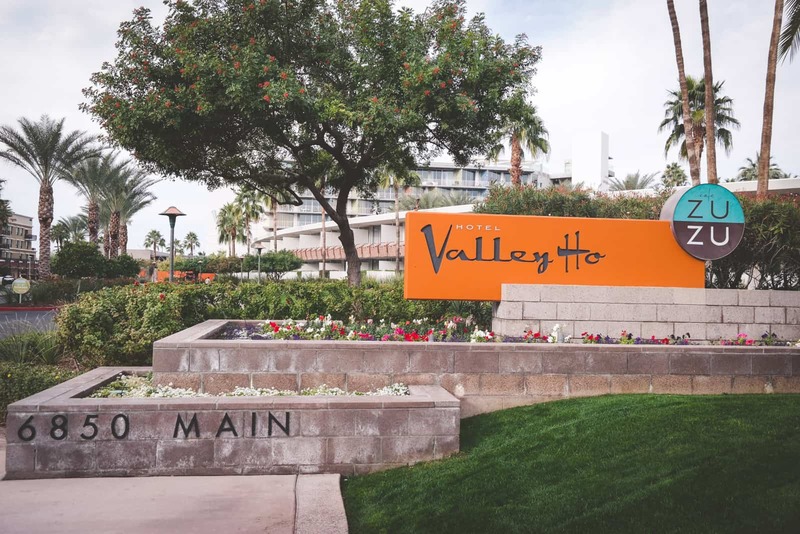 The Hotel Valley Ho is also walking distance to tons of downtown Scottsdale restaurants (see below in the ‘where to eat’ section) and stores. 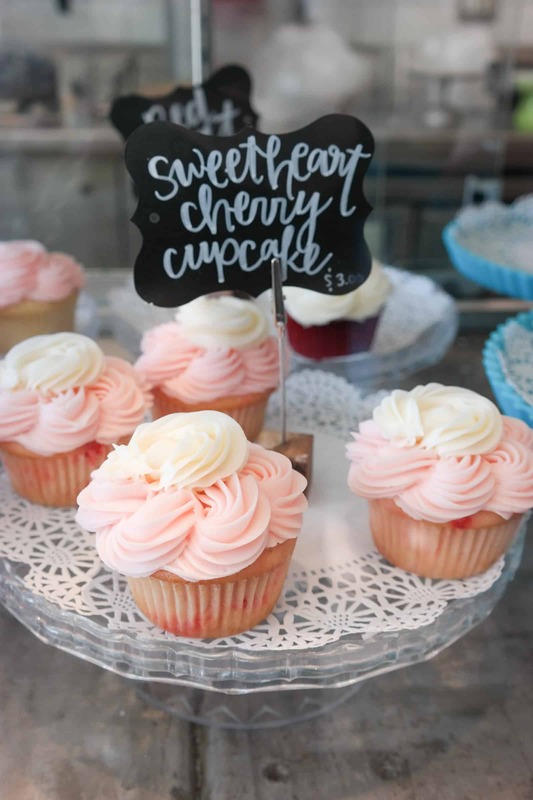 Also, here is a list of what’s new in Scottsdale. The next hotel we stayed at was the Arizona Grand Resort & Spa. 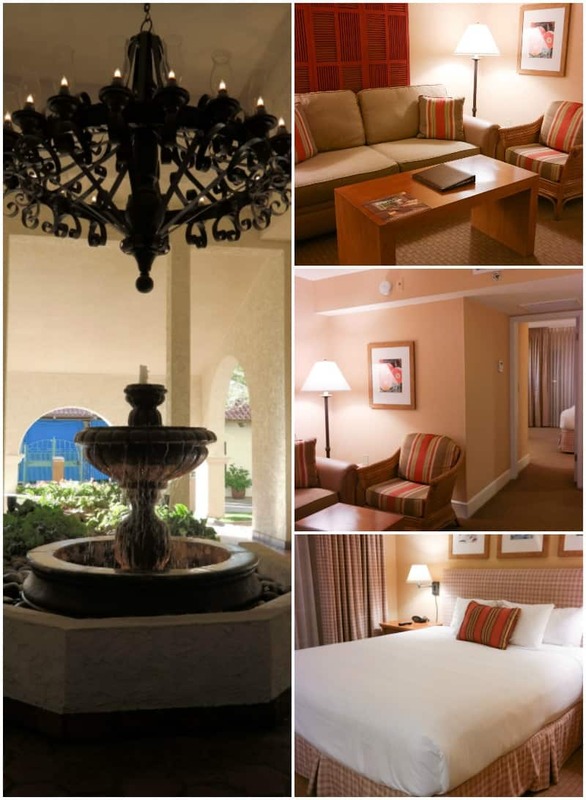 If you’re looking for a family friendly hotel, this all-suite resort would be perfect! The room we stayed in was spacious and the entire resort feels like you’re in a mini village. There are so many activities on site (including a water park for the kiddos), and the whole resort has beautiful walkways – whether its from building to building or even along the road. Upon entering the resort, there’s a huge fountain, it reminded us of beautiful Vegas exteriors, even all the buildings had mini fountains in the walkways. The spa at the resort was nestled in its own building and so luxurious. The path to the restaurant was beautifully lit at night, it was all very romantic. The food was super delicious. Mexican food at its best, and the portions were absolutely gigantic! 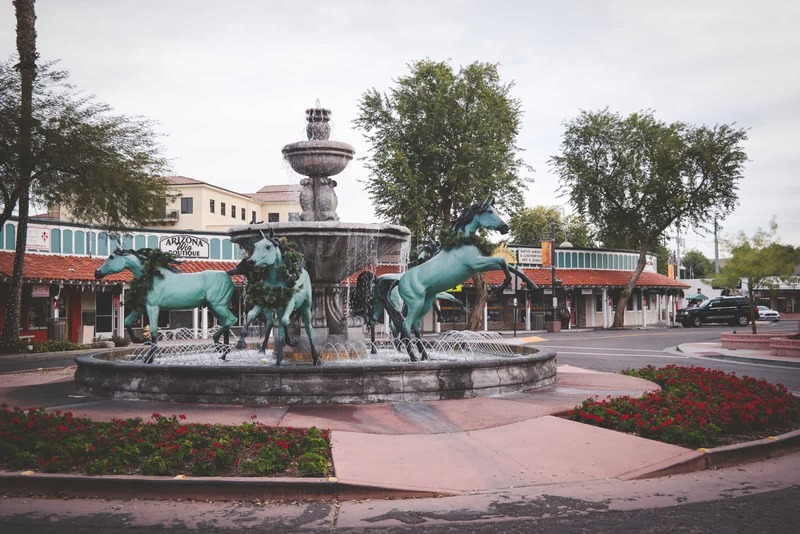 The Arizona Grand & Resort also has a sister hotel, The Scott Resort & Spa, which blends the upscale appeal of a downtown Scottsdale location with the casual elegance of a lush desert retreat. 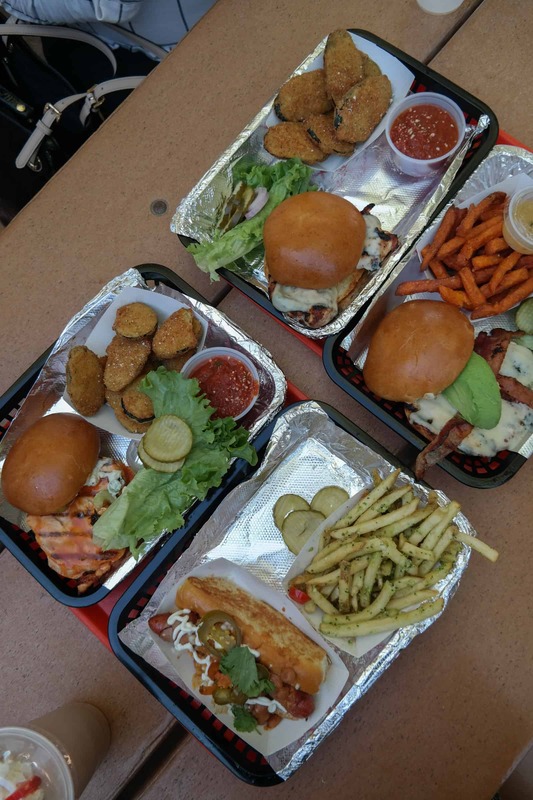 We heard about this place called Super Chunk from a local. With glowing reviews, we just had to check it out. We went first thing in the morning because we heard they had great bagels, and that’s kind of what I’ve been living off of. As our luck would have it, they had just taken the bagels out of the oven, so we got one and some other treats. I ate (ok, more like inhaled) the entire bagel in like 5 seconds. It was the best bagel I had ever had in my entire life (and I’ve lived in NY and had some pretty awesome bagels in my day). Seriously, it was so good that I had to go get another one because I wanted Nick to try it. He graciously let me have a few bites of the second bagel too, and agreed it was crazy good. 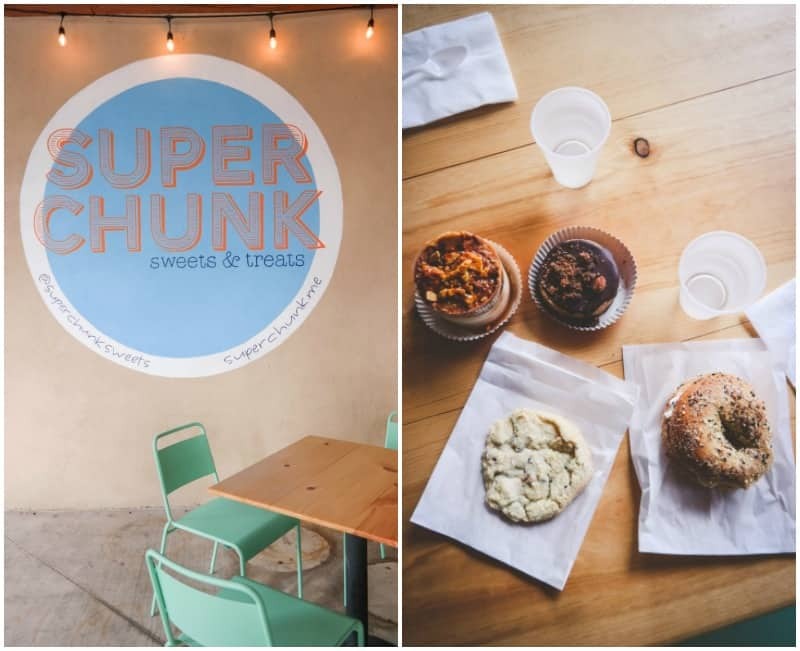 Everything we tried from Super Chunk was incredible. When we left, all I wanted to do was go back and get more bagels, I was sad I didn’t get more for the road lol. 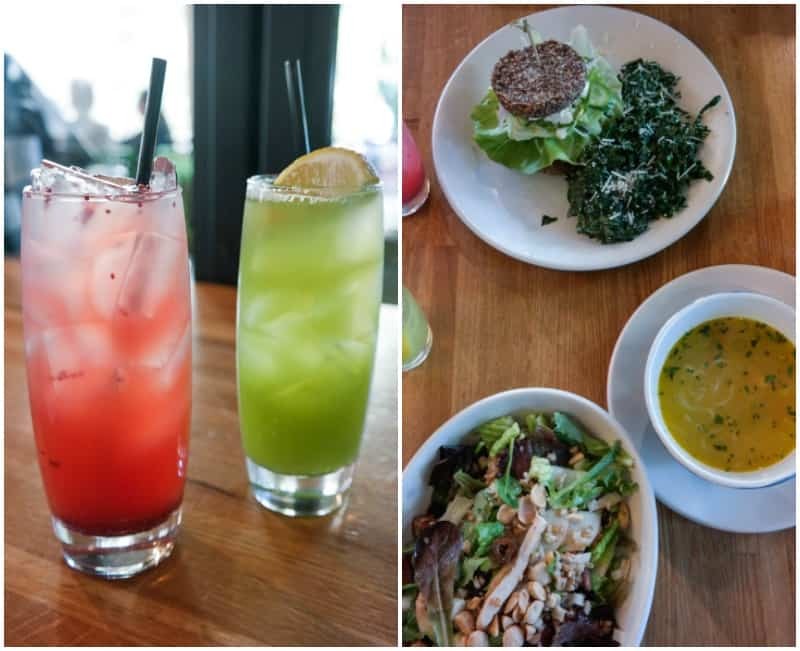 One of the best places I/we’ve ever eaten at was True Food Kitchen. 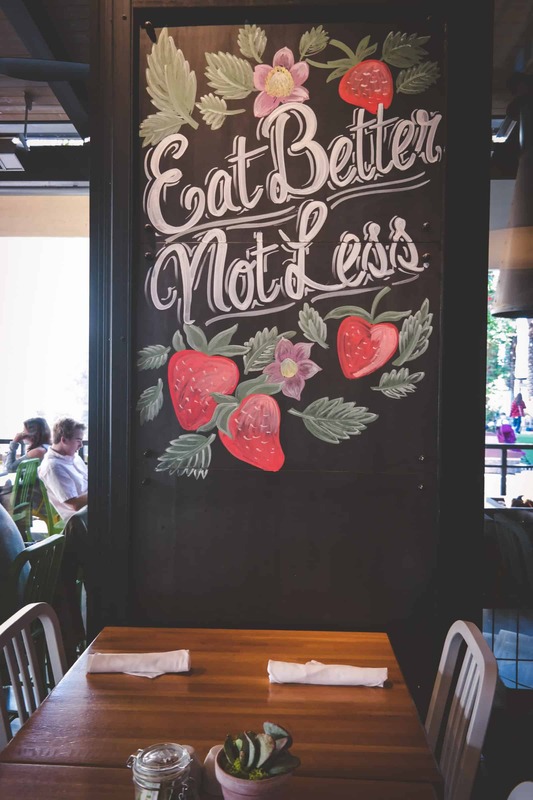 To be honest, when we sat down and saw all the sayings on the walls and our waiter said “basically we serve good for you, good food, you don’t have to feel bad about eating,” we were worried. We were worried it was going to be horrible. We ordered some of their drinks to start out with. I got a cucumber honey lemonade and Nick got a pomegranate chia limeade, holy guacamole!!! The drinks were SO good. Then the food came…Nick ordered a quinoa burger and I got a chicken noodle soup and salad. The broth of the soup was the best I’ve ever had, it was so flavorful. And the salad!!!! It had chicken, and dates, and a bunch of other healthy stuff with the best dressing. We could not stop talking about how good it was. 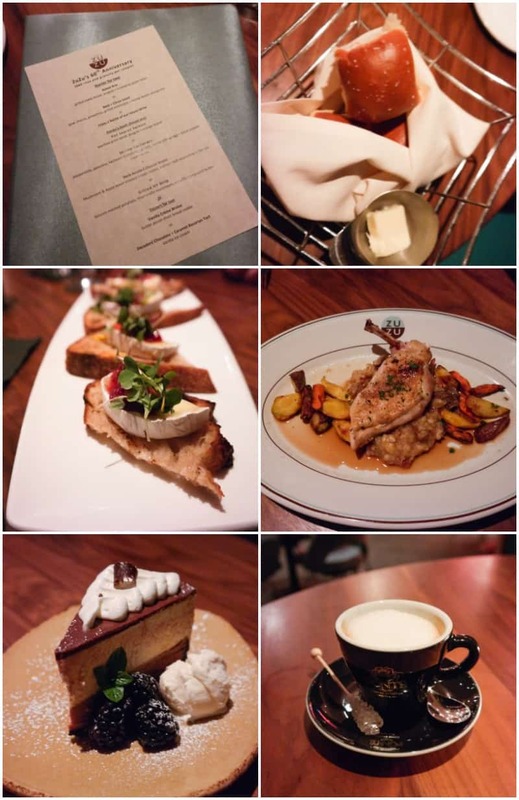 SUCH good food, a definite must try! 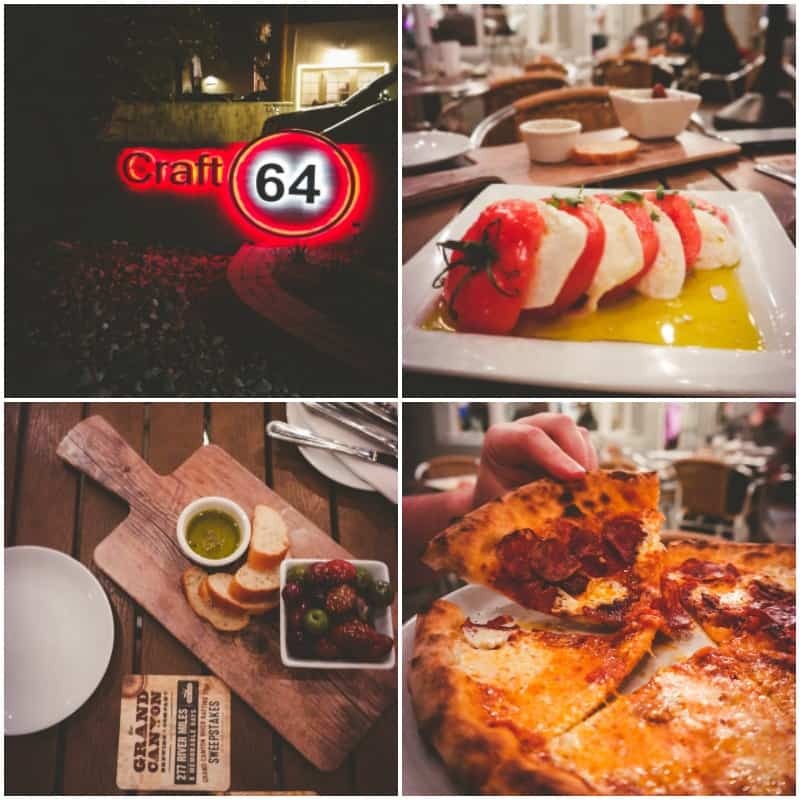 If you’re looking for artisan wood fired pizza and craft beers on tap, Craft 64 is the place to go! Craft 64 was right down the block from Hotel Valley Ho and and such a cozy atmosphere. The restaurant sources its own produce, dairy and meats locally, and hand makes its own mozzarella cheese and dough in house daily. We had several of their appetizers (omg the caprese with the fresh tomatoes and homemade mozzarella cheese) and their pizzas were unique flavors and really good. 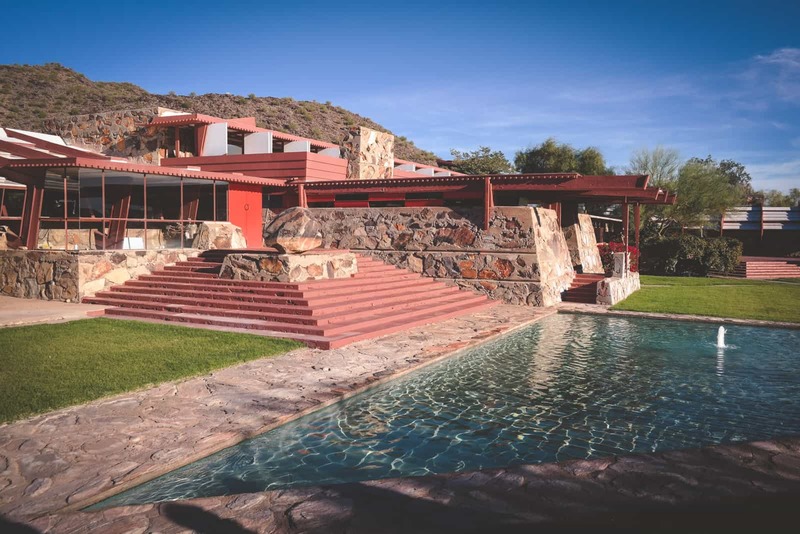 One of the things my husband wanted to do on our trip was visit Taliesin West, a national historic landmark nestled in the desert foothills of the McDowell Mountains, Frank Lloyd Wrights winter home! We took a 90 minute tour and found out how the property was built and maintained by Wright and his apprentices and is deeply connect to the desert from which it was forged. To this day it is an active architecture learning center, it was very neat to see and learn about the history of the beautiful property. 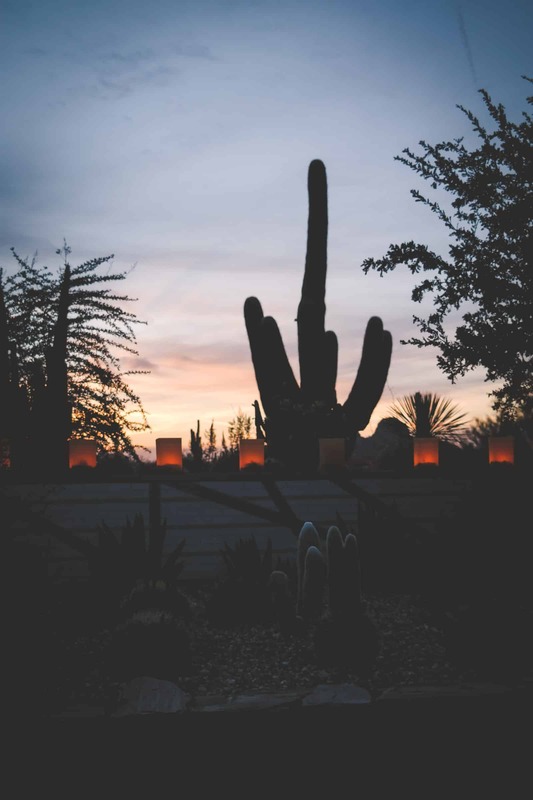 A must-go-to is a trip to the Desert Botanical Gardens. It was one of my favorite things we did in Phoenix, not only was it gorgeous, but it was also informative. There are hundreds (thousands maybe even) different types of cacti and different plants from the Sonoral Desert. 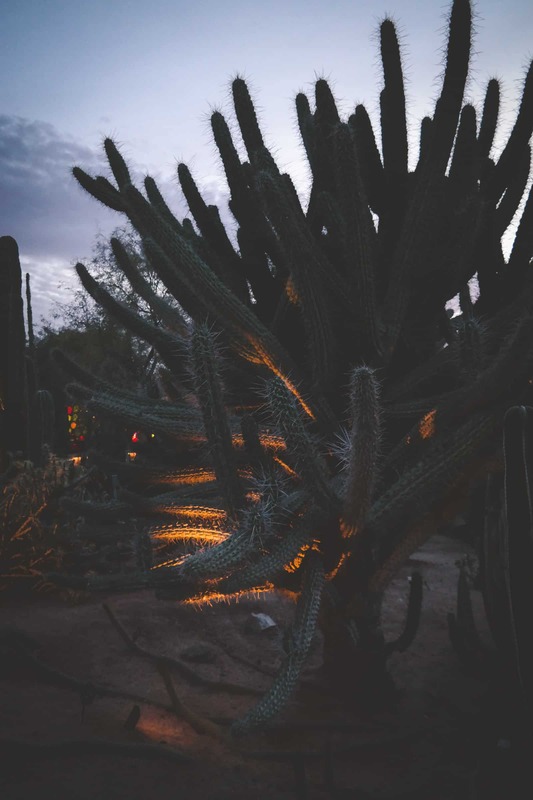 We had the unique opportunity to be visiting during an evening event where they had all the different paths lit with candle lights, watching the sun set and learning about the unique desert plants was such a perfect Phoenix experience. 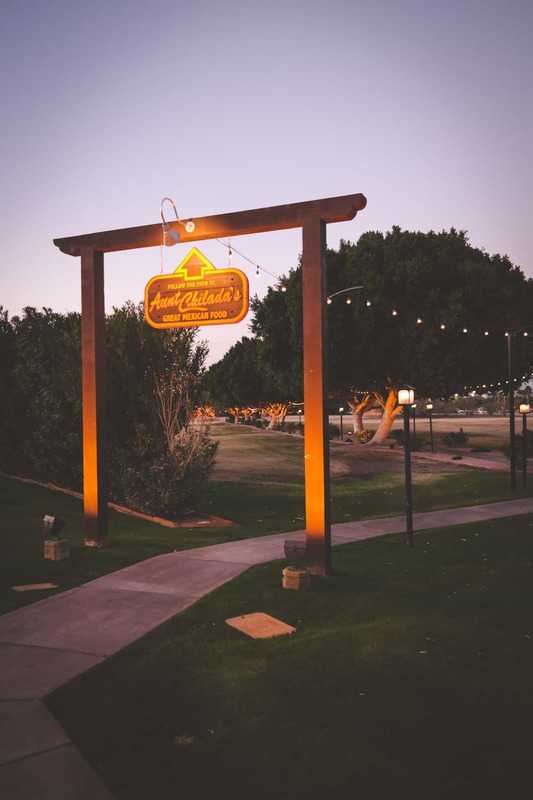 If you’re up for a little drive (only 20 minutes from Phoenix), I would highly recommend exploring the Fresh Foodie Trail in Mesa. 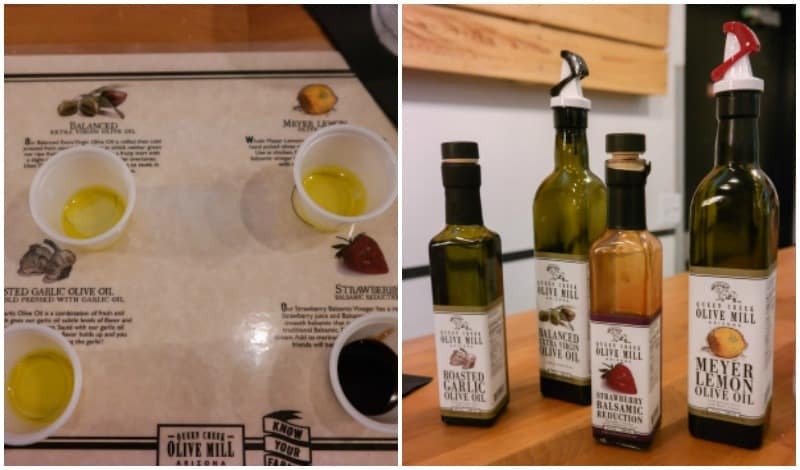 We went to three stops along the trail: The Orange Patch, Queen Creek Olive Mill, and Agritopia. 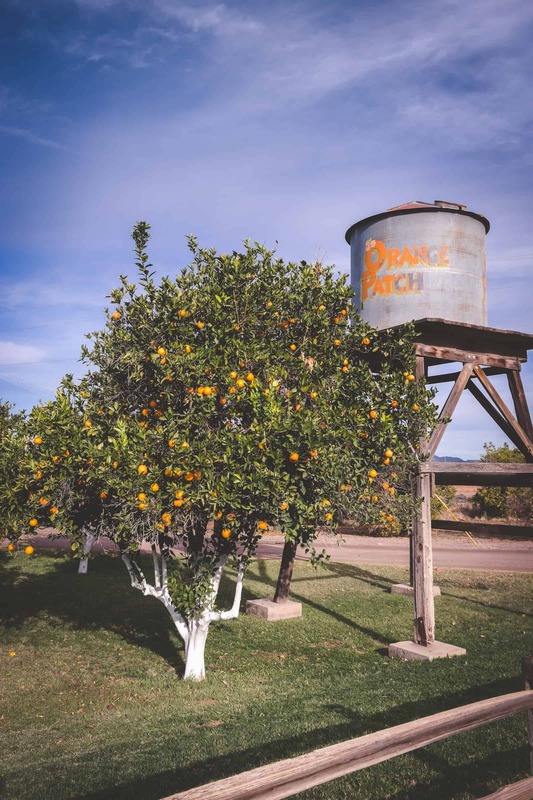 The Orange Patch is one of Mesa’s original citrus growers! 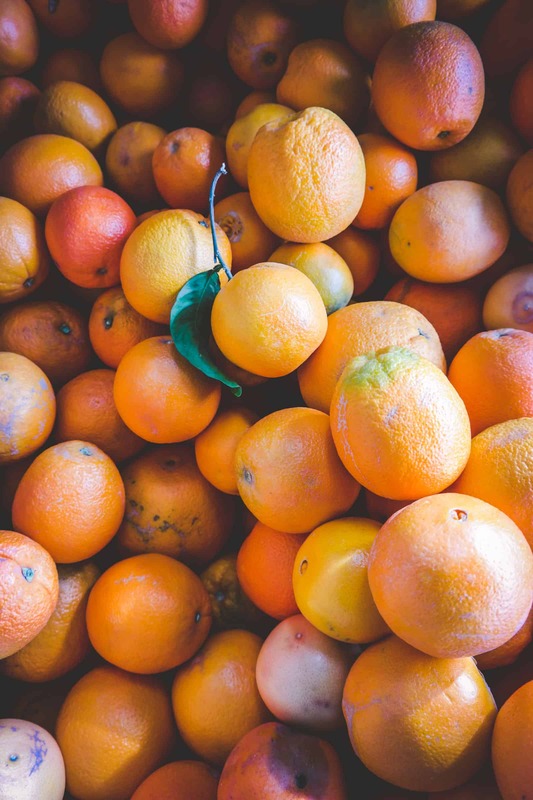 We were visiting just as orange season was starting, and seeing the orange trees, I’ve got to tell you – makes me want some of those warmer climates in my life more! We got to try some freshly squeezed orange juice, and I’ve never had juice that fresh before! Our last stop was at Joe’s Farm Grill with a tour of Agritopia and Barnone. The whole visit was an experience in and of itself. Agritopia is a community which has housing, different crops (instead of one huge field crop) which are sold and used in Joe’s Farm Grill and The Coffee Shop (which had the prettiest ever cupcakes). 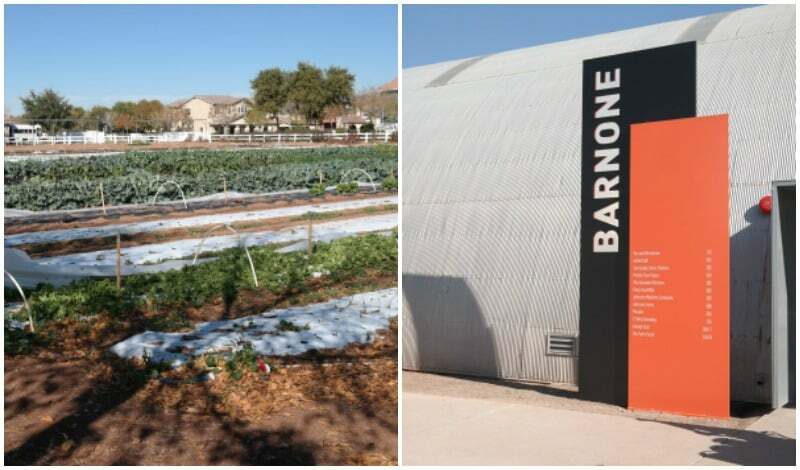 Also on the property is Barnone, a craftsman community which features 12 resident crafts men and women – which includes a icro-winery, a nano-brewery and a micro-distillery. Everything about our trip was fantastic, and with all Phoenix and Scottsdale have to offer, we cannot wait to return, hopefully soon!! A big thank you to Visit Phoenix, Experience Scottsdale, and Visit Mesa for coordinating this incredible media trip. As always, all thoughts and opinions are mine alone. 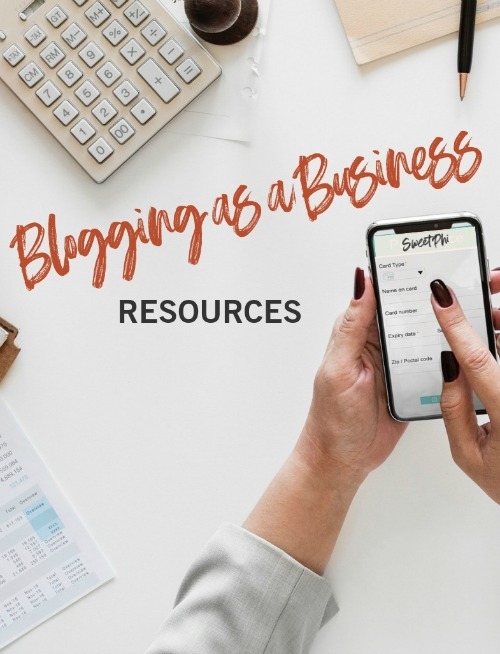 Thank you for reading and supporting the brands I partner with which make the SweetPhi blog possible. Hi Phi, oh I love each and everyone of those places. So glad you and your husband enjoyed yourselfs. Beautiful pictures. Thank you so much!! We really enjoyed the entire trip!! Looks like an amazing experience – perfect way to get away before your little one arrives. I’ve only been to Phoniex once – in 1985 and it’s safe to say it’s time I returned! Thanks for sharing! 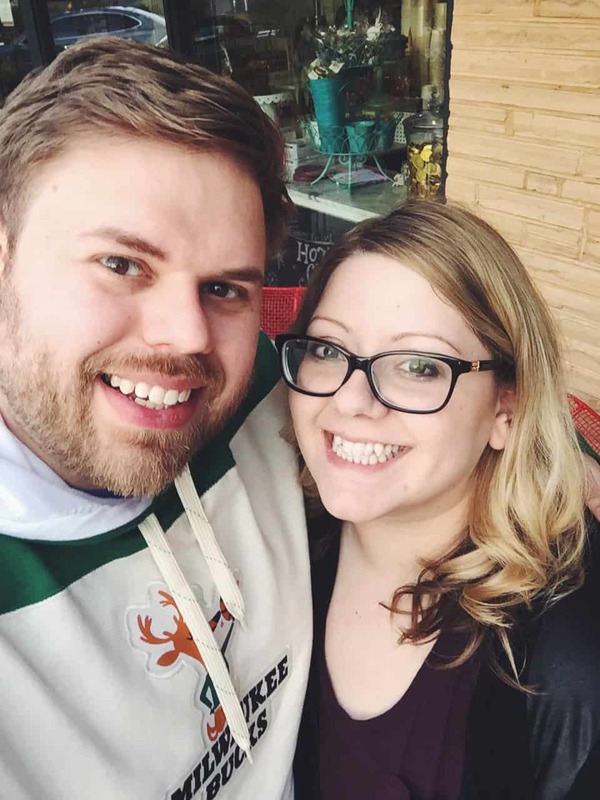 I’m so glad we got to experience a little trip before the baby arrives. It was such a fun trip! Thank you so much for your sweet comment. I think you’d love Phoenix, it was soooo beautiful and a cool place to visit. Oh my goodness, SUCH an amazing trip Phi!! 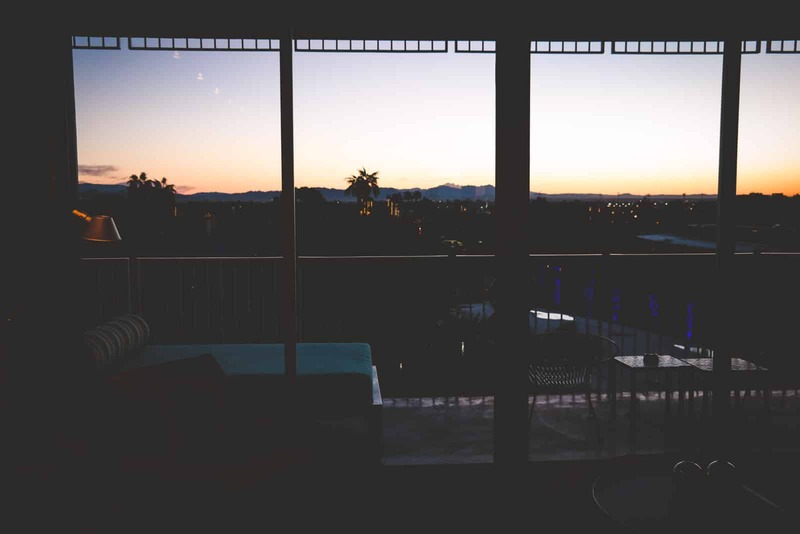 My aunt lived in Scottsdale for years, so we visited Phoenix almost once a year while I was growing up… But I had no idea about 99% of the things you did! Definitely going on my list of things I need to do the next time I make it to AZ. And your hubby went to spring training?? Did I somehow miss that he might be a big baseball fan?? ? 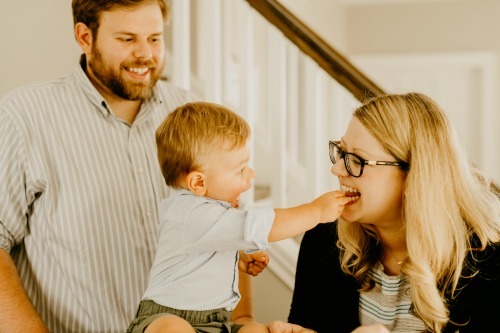 Oh my gosh oh my gosh oh my gosh — you TOTALLY have to tell me before you go!! I’d definitely meet up with you two (if that would be okay!). In either AZ or FL. Seriously!! 🙂 And the next time I’m in Milwaukee (because my dad and I loved the stadium and would go back in a heartbeat), you and your hubby definitely have to join us for a game!!! OMG YES!!! If we go I’ll totally let you know!! 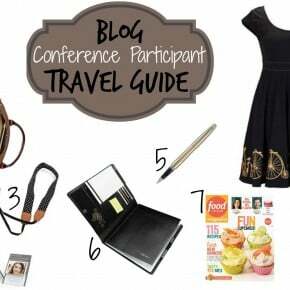 Travel in the next year or so might be a little far fetched for me with a newborn, but who knows lol. 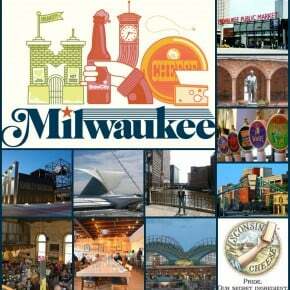 DEFINITELY let me know anytime you are considering coming anywhere close to Milwaukee!!! I’d more than love to spend time with you and your family, and we would 100% join you for a game. We currently live like 10 minutes from the stadium, we’re in the process of hopefully selling out house/moving, but it won’t be far, so we’ll still be at most 15 min away lol. Would love to see you and watch baseball, and of course Clover would love for you to meet her and snuggle with her. For sure let me know as the date gets closer that you’re coming to WI!!!! It is a wonderful experience, Phi. 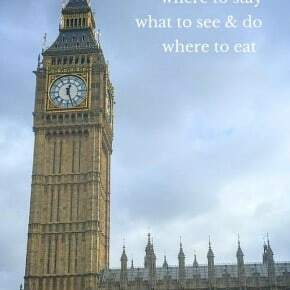 This place is very beautiful and the food looks phenomenal!